Leaked images reportedly show the Honor Note 10 and its enormous screen. The phone has tiny bezels and is noticeably smaller than a Nintendo Switch. Still, as the images are not official, they should be taken with a pinch of salt. Images have leaked that supposedly show the Honor Note 10 and its anticipated 6.9-inch 1440p display in all its glory. 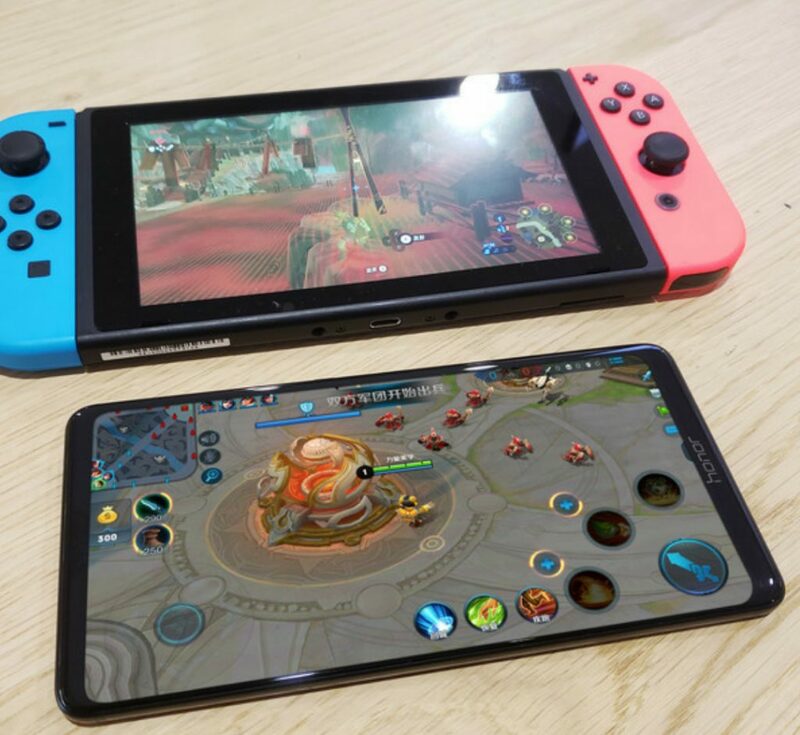 The pictures, leaked by Techtastic (via GSMArena), show the phone next to a Nintendo Switch for scale. While the screen on the phone is larger than that of the Switch, the phone’s tiny bezels mean that overall the device is noticeably smaller. Techtastic also mentions some of the phone’s potential specs. It says the phone could get a Kirin 970 processor, which is the same as the one found in the Huawei P20 series and the Honor 10. It also says that the device could come with either 6GB or 8GB of RAM, and 128GB or 256GB storage. There are no pictures of the back of the device. However, Techtastic says the phone could have a dual-rear camera with a 24-megapixel and a 16-megapixel lens, as well as a rear fingerprint scanner. Techtastic also says that the phone will get a 6,000mAh battery, as has been previously rumored. However, that would be significantly larger than the batteries found on similar devices, so the claim should probably be taken with a pinch-of-salt until an official announcement is made. This may not be that long as Techtastic says it could be unveiled on July 26. 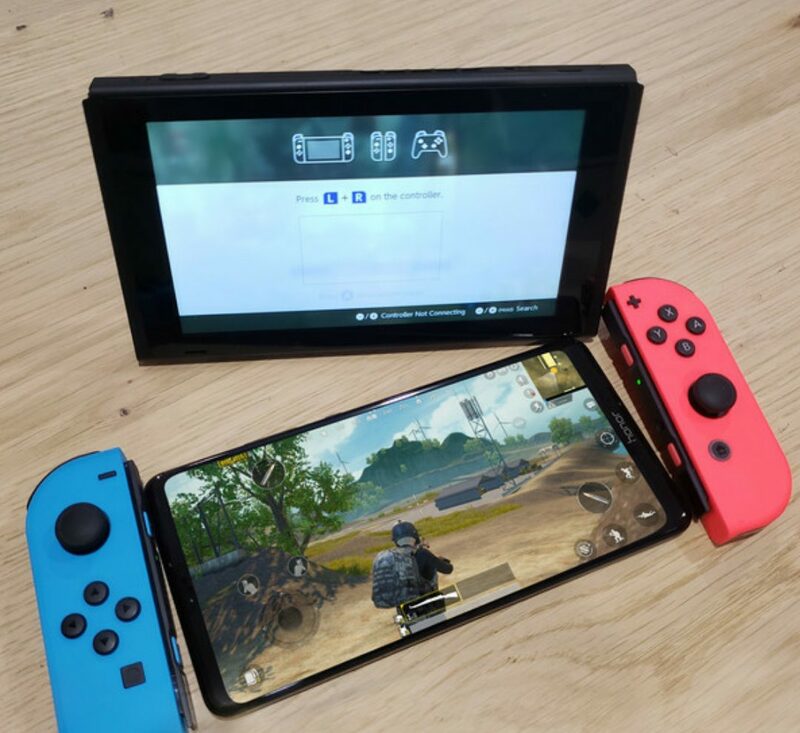 One thing that could add some credibility to the pictures is that they show the phone running PUBG Mobile and Mobile Legends: Bang Bang. These are two games that Huawei specifically said its GPU Turbo gaming performance technology will support. However, Huawei is yet to confirm anything about the Honor 10 other than it’s existence. It also isn’t unheard of for supposedly leaked images of this thing to turn out to be fake. Still, if the images are real, the device may turn a few heads, especially for anyone after a gaming-centric phone with a giant screen.